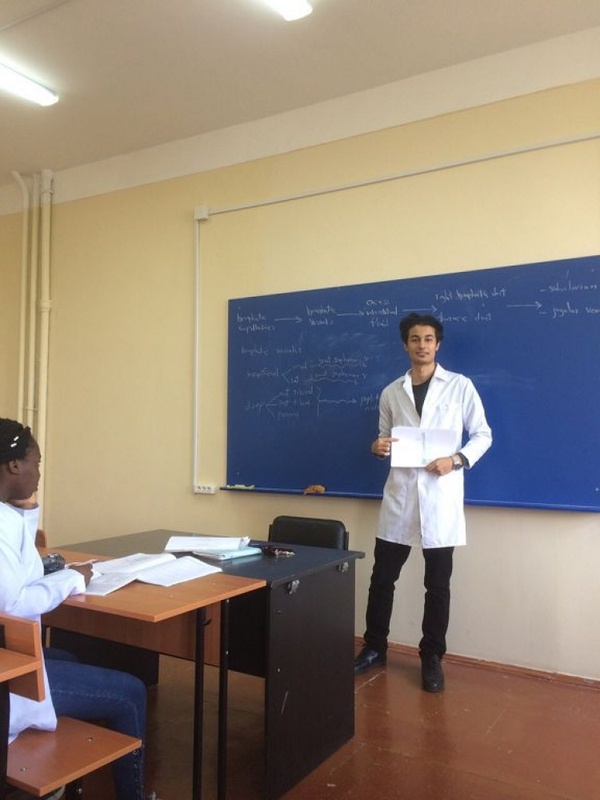 The third regular seminar of human anatomy was held on September 24, 2018 for English speaking students. 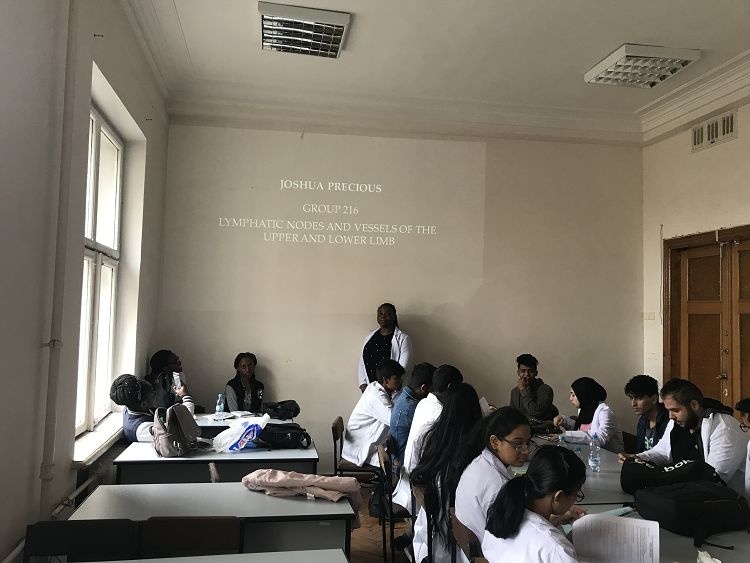 These students take an active part in similar forums. 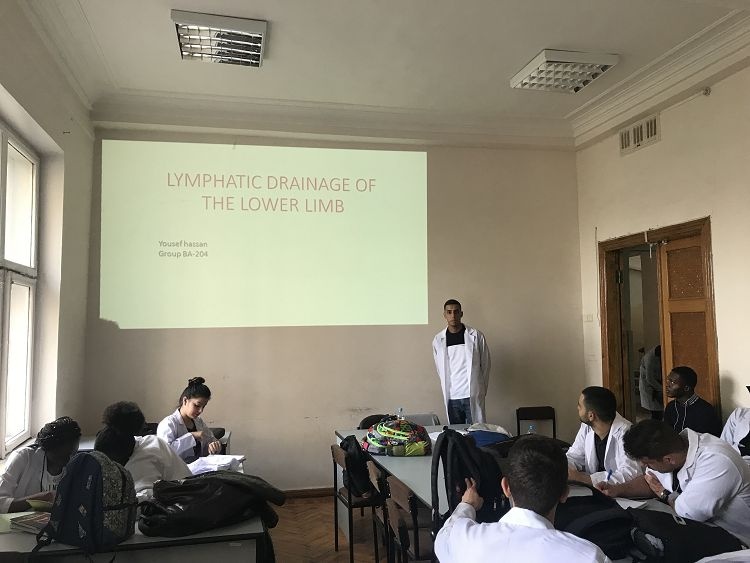 The main topics of the reports were: «Lymphatic drainage of the pelvis and lower limb», speaker: Hassan Yousef (group ВA-204), «Limphatic nodes and vessels of the upper and lower limb» speaker: Joshua Precious (group ВA-216), «Superficial lymphatic drainage of the lower extremity: anatomical study and clinical implications»speaker: Jamshidi Ahmadreza Masoud (group ВA-211).